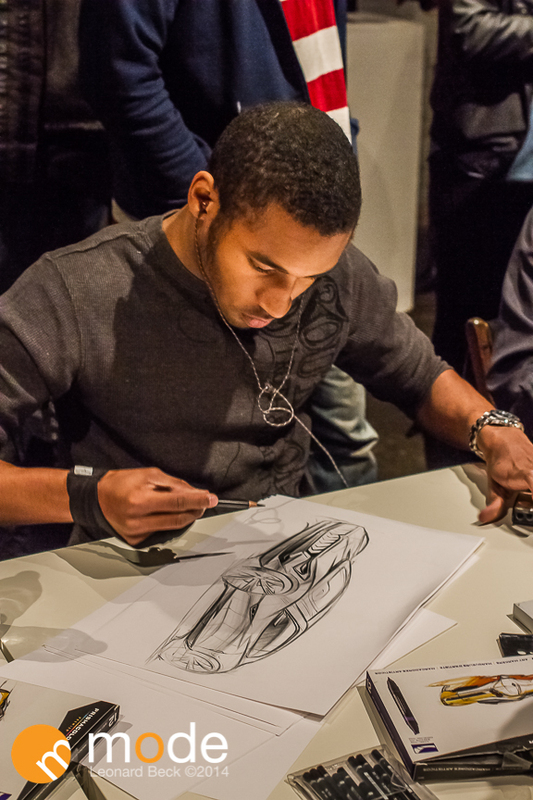 On January 17th was Middlecotts’ 2014 Sketch Battle the underground Detroit Autoshow After Party of Cars, Music, and Art. Due to such a large amount of people interested in this event they needed find a bigger location Tangent Gallery/Hastings Street Ballroom. Traffic Jam and Snug provided tasty beverages for the event and Slows was served in the VIP area. The Experiment seemed to be a huge success. As an artist it was amazing to see so many people standing around just to watch an artist sketch battle. The crowd was cheering on the artist every second of the event like a rap battle. After the sketch competition was over other patrons left their mark on paper with drawings and design, but one person left a great quote ” Design the Future. Ignore Today. ” -Unknown author. Its great advice. i like that quote too, lol. 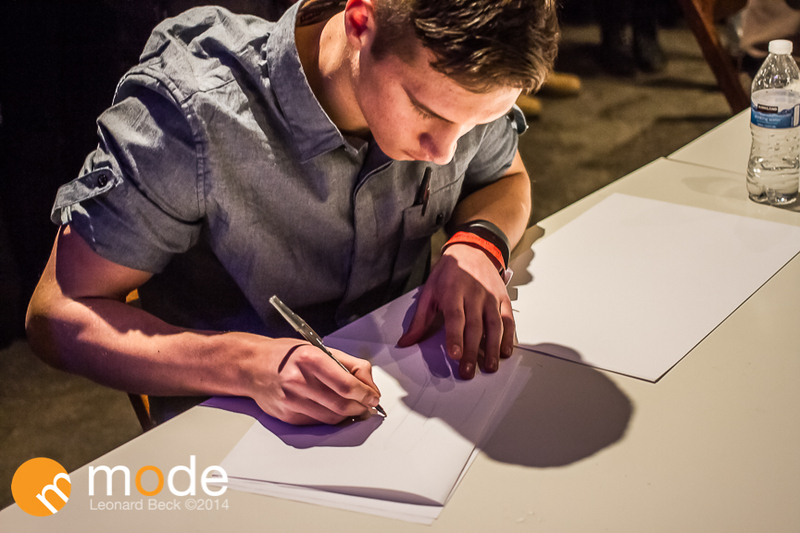 and whats the winning drawing?